The Orcas Island Lit Fest is a 501(c)(3) nonprofit dedicated to an annual world-class literary festival on Orcas Island organized by passionate volunteers—and supported by book lovers like you. This festival is brought to you by the continuing support of our donors and sponsors. 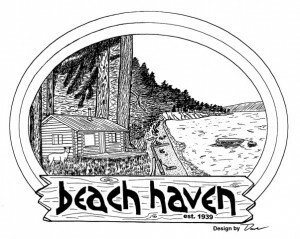 Orcas Island bookstore Darvill’s is the preferred bookseller for the Orcas Island Lit Fest. Look for them on festival weekend in the lobby of Orcas Center for the Arts, our main venue. Darvill’s is located on Main Street in the heart of Eastsound and has been in business in the San Juan Islands for over 30 years. Drop by their store or their table at the festival to experience their independent hearts, amazing books, curated gifts, and friendly, knowledgeable staff. A festival of OILF’s size and scope is a huge undertaking. It requires the hard work of a dedicated board, a host of volunteers, and the support of many organizations and friends. We would especially like to thank the San Juan County Lodging Tax Advisory Board, the Orcas Island Chamber of Commerce, the Orcas Island Community Foundation, the Orcas Island Public Library, the San Juan Islands Visitors Bureau, The Seattle Review of Books, Seattle7 Writers, Jack Straw Cultural Center, Deborah Babcock, Mark J. Ferrari, Gail Folkins, Ayn & Sam Gailey, Natalie Menacho, Shannon Page, the staff at Darvill’s—and, of course, our amazing volunteers.